Strong lines and structural plants give a clean look to this garden. 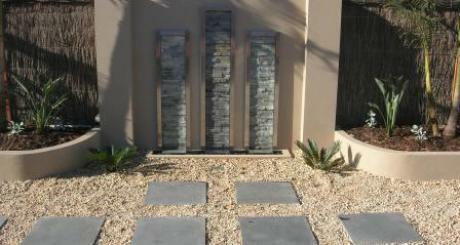 The water feature made of slate and steel creates a lovely play of light at night. A Mintaro slate stepping path is surrounded by pebbles. And a large timber deck - perfect for entertaining.